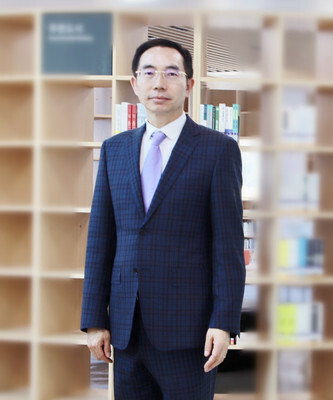 LAN Jing, Han nationality, Ph.D., chairman of Yunnan Nanfang Education Investment Group. Heresigned from his position as a teacher at Yunnan Normal University and starteda business in 1996, throughwhich he founded Yunnan Nanfang Youth College. He established Yunnan Normal University Business School incooperation with Yunnan Normal University in 2001. He co-founded Zhonghua Vocational College of Yunnan University of Finance and Economics in conjunction with Yunnan Chinese Vocational Educational Institute in 2010.In2017, he led the group to cooperate with overseas universities to establish the"International College of North Chiang Mai University","International College of Bansomedjchaopraya Rajabhat University" and "UnityInternational College of Southern University College of Malaysia". Mr. LAN isnow a member of the Executive Committee of the 12th Session of NationalFederation of Industry and Commerce of China, the committee member of the 12thSession of the CPPCC Yunnan Province, the vice chairman of the 12th Session of the Yunnan Federation of Industry and Commerce, the deputy directorof the Yunnan Private Entrepreneurs Association, the deputy director of theYunnan China Vocational Education Society andtheexecutive director of the Yunnan Warm Project Charity Foundation, among othersocial positions. He was a member of the Yunnan Provincial Committee of the 10thand 11th Session of Chinese People's Political Consultative Conferenceand vice chairman of the Yunnan Provincial Federations of Industry and Commerce of the 10thand 11th Session. Mr. LAN has won the nominationaward of the "Top Ten Outstanding Young People"in Yunnan, the "Outstanding Achievement Award" in China's highereducation, and the "Outstanding Achievement Award" of the privateeducation in Yunnan. He has also received honors such as "Outstanding Private Science and Technology Entrepreneurs in China","Outstanding Private Science and Technology Entrepreneurs in Yunnan","Outstanding Socialist Enterprise Builder with Chinese Characteristics"in Yunnan Province, "Top Ten Yunnan Influential Businessmen Award","Yunnan Private Education Outstanding Achievement Award", "The Most Beautiful Teacher in Yunnan" and other honors.